Our comprehensive friction management technology improves track safety and operational efficiencies. 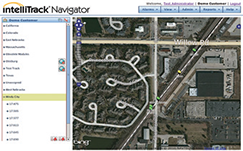 IntelliTrack® Navigator has an intuitive, web-accessible user interface using modern browser technology. 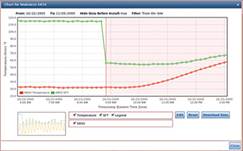 It provides intrusive alerts of critical alarm conditions, dynamically updates module alarm status, and can easily locate the alarmed modules on the integrated, zoom-capable map. Data from user-selected modules can be displayed as a dynamic chart. The chart allows the user to specify the time range and the types of data that should be included. 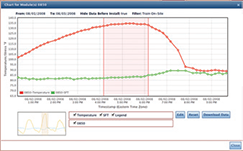 While viewing the chart, the user can easily turn off and on the visibility of one or more data types and can also zoom in on a particular time period.